Andrea McClain, Coordinator for Teacher Licensure and Graduate Admissions at Belmont, serves as a frequent volunteer for Salama Urban Ministries. Salama is a nonprofit organization that serves K-12 students in Edgehill and the greater Nashville area with three areas of concentration: academics, performing arts and Christ-centered spiritual development. The goal of Salama is to develop value-guided leaders who will impact their communities and the world. McClain’s involvement with Salama began when Education Professor Dr. Joy Kimmons introduced her to the organization. Kimmons and her students volunteer two hours per week, and Kimmons also teaches her Education Psychology class there. McCain was asked by Salama’s Academic Coordinator to help with Basic Reading Inventories (BRIs) this year, which consist of assessing reading levels twice per year. The first testing is in the fall to gauge student reading levels and then again in the spring to determine how much each student has progressed. 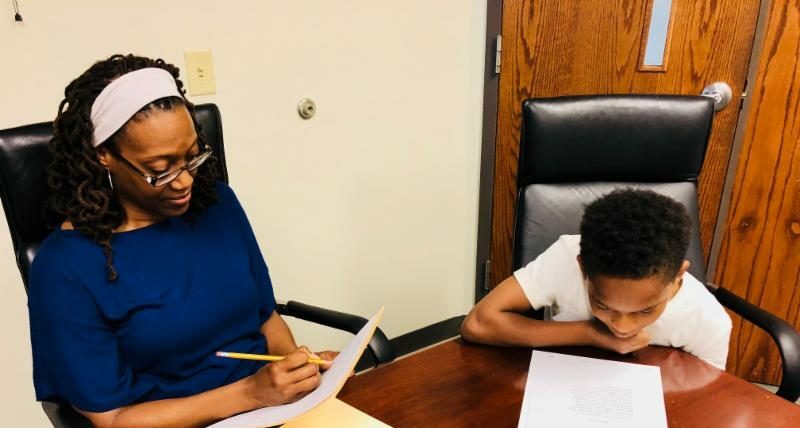 An individual education plan (IEP) is created for each student in the fall, and Kimmons and her students tutor them throughout the year based on their IEPs, particularly for those who read below their grade levels. “By Dr. Kimmons and her classes being there, reading levels have increased dramatically,” said McCain.